Climate change and species extinctions are accelerating even as societies are experiencing rising inequality, unemployment, slow economic growth, rising debt levels, and impotent governments. Contrary to the way policymakers usually think about these problems these are not really separate crises at all. These crises are part of the same fundamental transition. The new era is characterised by inefficient fossil fuel production and escalating costs of climate change. Conventional capitalist economic thinking can no longer explain, predict or solve the workings of the global economy in this new age. Those are the implications of a new background paper prepared by a team of Finnish biophysicists who were asked to provide research that would feed into the drafting of the UN Global Sustainable Development Report (GSDR), which will be released in 2019. For the “first time in human history”, the paper says, capitalist economies are “shifting to energy sources that are less energy efficient.” Producing usable energy (“exergy”) to keep powering “both basic and non-basic human activities” in industrial civilisation “will require more, not less, effort”. At the same time, our hunger for energy is driving what the paper refers to as “sink costs.” The greater our energy and material use, the more waste we generate, and so the greater the environmental costs. Though they can be ignored for a while, eventually those environmental costs translate directly into economic costs as it becomes more and more difficult to ignore their impacts on our societies. A copy of the paper, available on the website of the BIOS Research Unit in Finland, was sent to me by lead author Dr Paavo Järvensivu, a ‘biophysical economist’ – a rare, but emerging breed of economist exploring the role of energy and materials in fuelling economic activity. I met Dr Järvensivu last year when I spoke at the BIOS Research Unit about the findings of my own book, Failing States, Collapsing Systems: BioPhysical Triggers of Political Violence. The paper, co-authored by Dr Järvensivu with the rest of the BIOS team, was commissioned by the UN’s IGS specifically to feed into the chapter on ‘Transformation: the Economy’. Invited background documents are used as the basis of the GSDR, but what ends up in the final report will not be known until it is released next year. The BIOS paper suggests that much of the political and economic volatility we have seen in recent years has a root cause in this creeping ecological crisis. As the ecological and economic costs of industrial overconsumption continue to rise, the constant economic growth we have become accustomed to is now in jeopardy. That, in turn, has exerted massive strain on our politics. But the underlying issues are still unacknowledged and unrecognised by policymakers. “We live in an era of turmoil and profound change in the energetic and material underpinnings of economies. The era of cheap energy is coming to an end,” says the paper. The scientists refer to the pioneering work of systems ecologist Professor Charles Hall of the State University of New York with economist Professor Kent Klitgaard from Wells College. This year, Hall and Klitgaard released an updated edition of their seminal book, Energy and the Wealth of Nations: An Introduction to BioPhysical Economics. 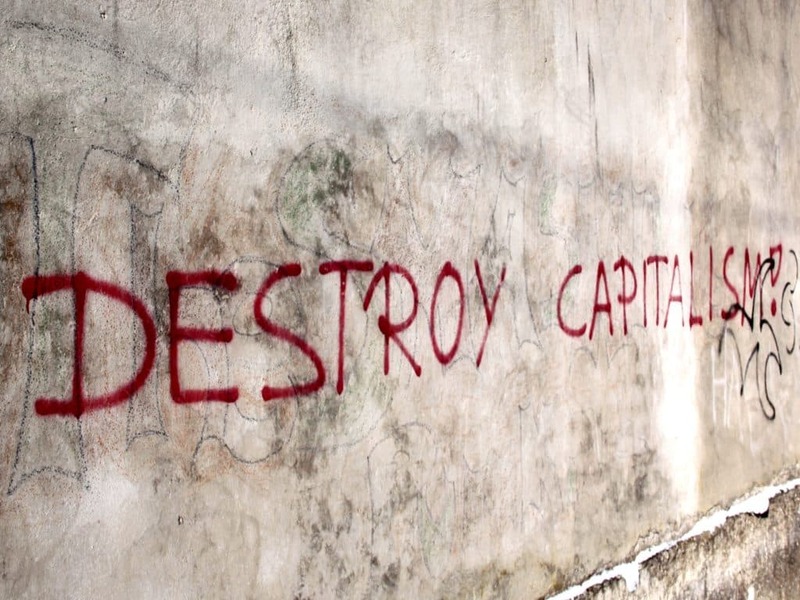 Hall and Klitgaard are highly critical of mainstream capitalist economic theory, which they say has become divorced from some of the most fundamental principles of science. They refer to the concept of “energy return on investment” (EROI) as a key indicator of the shift into a new age of difficult energy. EROI is a simple ratio that measures how much energy we use to extract more energy.